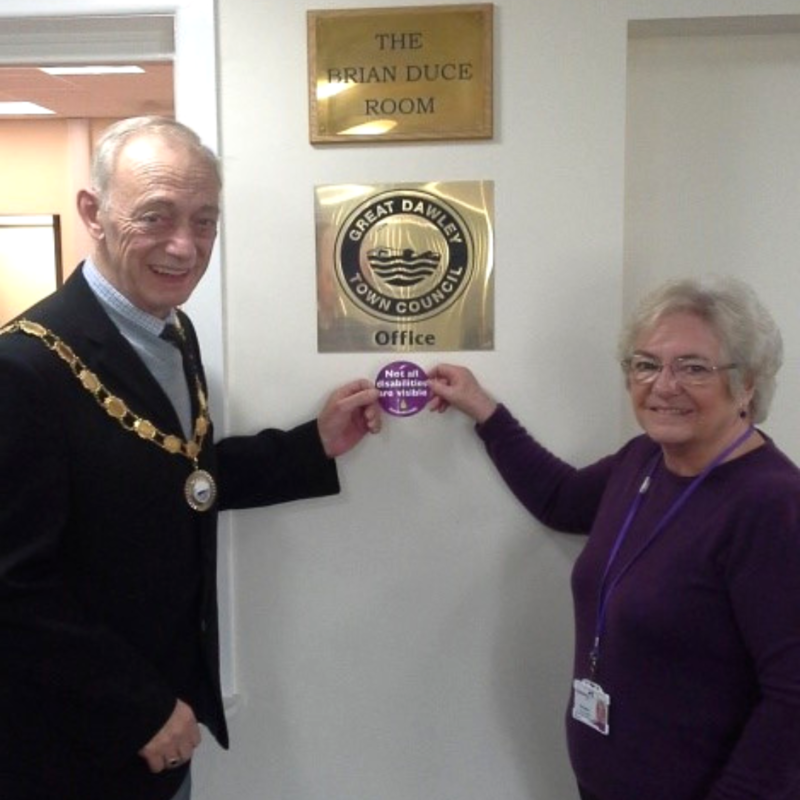 We are proud to announce that thanks to the hard work of Irene Constable, one of our long-standing volunteers, Great Dawley Town Council are now ‘Stoma Friendly’, having recently refurbished the town hall’s public toilets. Colostomy UK has been running its ‘Stoma-Friendly’ campaign for over four years, part of which focuses on encouraging organisations to upgrade their toilet facilities in order to meet the needs of ostomates. 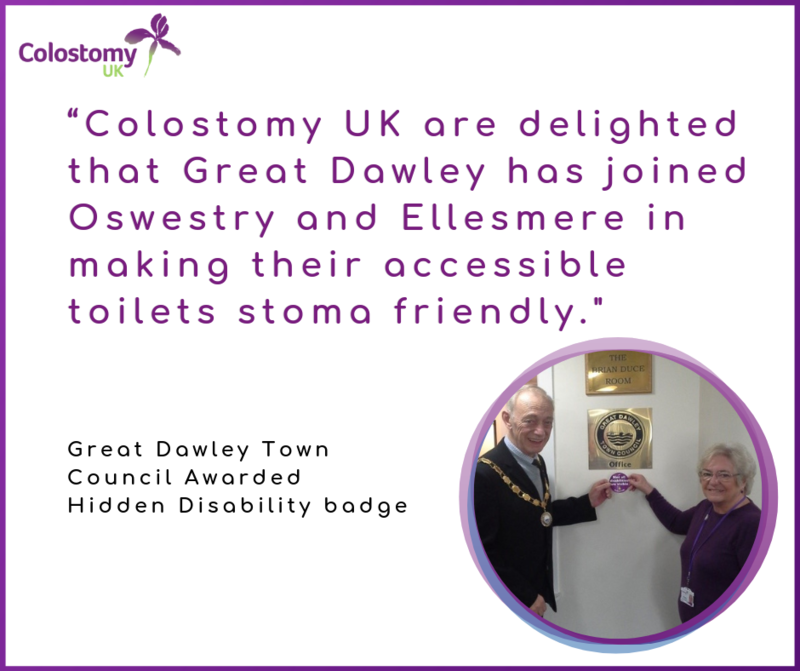 The accessible toilets at Dawley Town Hall now have a hook, shelf, a bin and a mirror; simple, cost-effective measures that make a huge difference for ostomates using them. The council are also using our toilet stickers (pictured below), so that less people with hidden disabilities and conditions are challenged when using their accessible facilities. Oswestry and Ellesmere Councils have made similar improvements. It’s great that Shropshire and Telford & Wrekin has so many proactive councils willing to make the simple changes needed to make things easier for ostomates when they are out and about. Colostomy UK are always looking for other organisations to join in the campaign and be counted as ‘Stoma Friendly’. Councillor Malcolm Randle, the Mayor of Great Dawley Town Council pictured with Irene Constable.